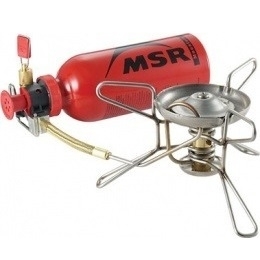 An excellent stove for frequent users, expeditions, and mountaineers. 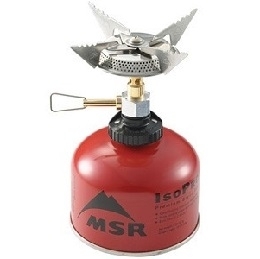 It uses clean-burning white gas when available, or kerosene when it isn’t. It will burn jet fuel or even unleaded gasoline in a pinch, thanks to the burner jet and large fuel tube. This stove features a Shaker Jet, which cleans carbon deposits by simply inverting the burner and shaking it before lighting. 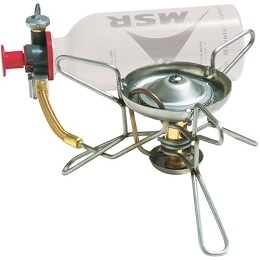 The fuel tank is separate from the stove, so you can completely wrap the burner with the windscreen for efficient cooking even in windy conditions. 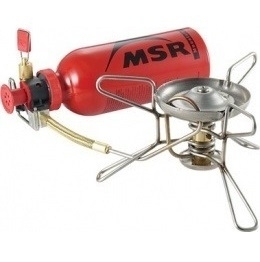 Steel and brass burner components, plastic pump. Aluminum mixer tube and stainless steel legs. Boils 1L of water in 3.5 minutes at 30psi (white gas) 4.4 minutes at 30psi (kerosene). Output is 9700BTU (white gas), 7300BTU (kerosene), 9000BTU (unleaded gas). 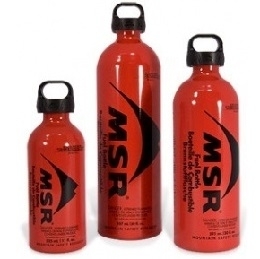 Burns for 99-289 minutes (650g bottle of white gas), 145-359 minutes (kerosene). Includes a durable nylon bag and a maintenance tool.